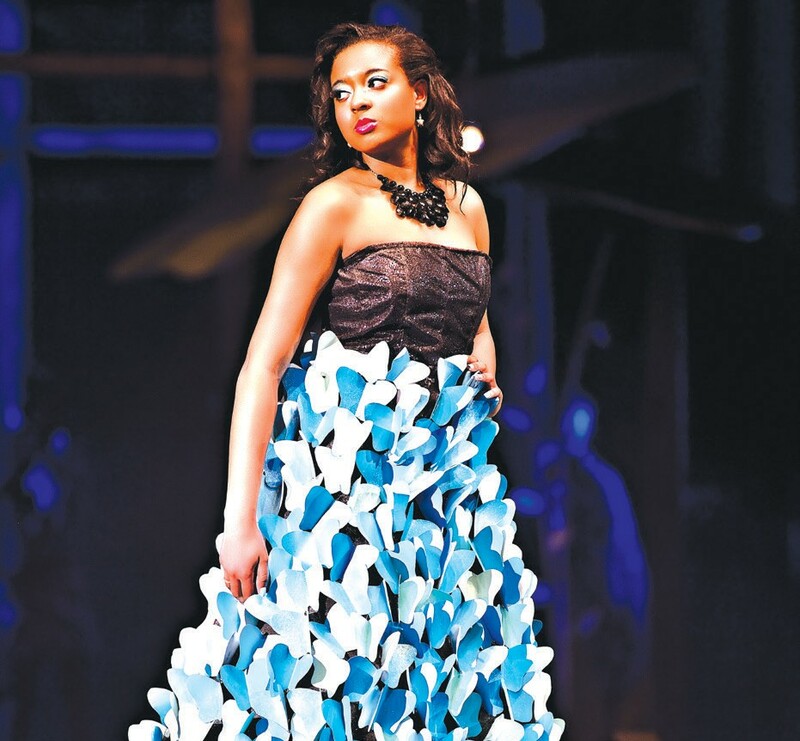 Zysha Smiley, student model for the Junk 2 Funk Fashion Show, is portraying “Morpho Mistress.” Her dress was designed by Rachel Fretty – Morpho Butterfly. It is made of window screening, craft paper, and ribbon. Savannah Arts Academy’s Visual Arts Department held its annual Junk 2 Funk Fashion Show, “Insectum” January 29 through January 31, 2015. The show, now in its seventh year, has seen an increase in student participation, and is very popular with the public. All four shows sold out online in a just four hours. Insectum portrayed an imaginary world filled with “bugs” that were beautifully created by forty-six student designers, and modeled by approximately 95 students. The show, created by Ms. Trellis Payne, who is also the show’s artistic director, brought excitement and fun to the runway. The students also credits fashion expert, Meghan Scoggins who help them to bring their ideas to life. Junk 2 Funk has become one of Savannah Art Academy’s signature events.